The "Smart Hatchet" is the world's first magnetic hatchet! This all steel top of the line hammer/hatchet features the easy claw for quick nail removal, heavy duty magnet, hatchet with guides, and slip resistant handle. Use for the installation of stucco, drywall, roof shingles, roof dry-in underlayments, house wrap, and drywall. To be used with plastic cap nails, metal cap nails, roofing nails, stubbie nails, and drywall nails. 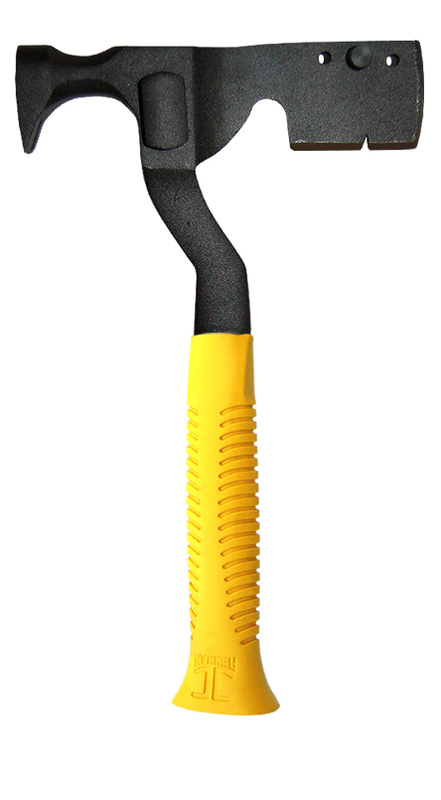 In addition, the “easy grab, easy stow”, Easy Holder adds value to this super efficient contractor grade hammer.